On the margins of the Eastern Economic Forum, the opening of the photo exhibition "Innovations and ecology in coal transshipment" took place within the framework of the Year of Japan in Russia. The exposition includes almost half a century of cooperation between the company Vostochny Port and Japanese partners. The presentation was held with the participation of Japan's Consul General in Vladivostok and the First Deputy CEO of the Managing Port Company. This is a Russian port holding, which also includes the "Eastern Port". The exhibition presents two dozen photos. Some of them are unique. For example, here you can see a picture of 1967, when a Soviet-Japanese inspection commission worked in Wrangel Bay, its participants selected a place for the construction of a new seaport. And this is the first vessel under loading on a specialized coal complex. In the photo exhibition - not only important historical moments, but also modern technologies of ecological transshipment of coal, which are currently used in the port. 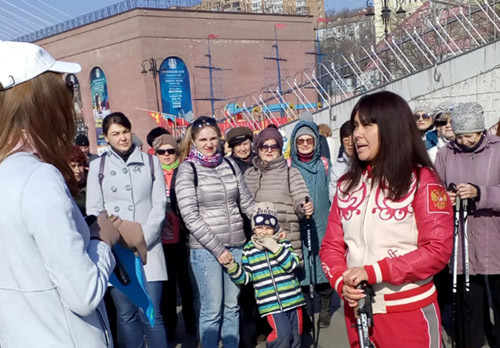 Irina Olkhovskaya, First Deputy General Director of LLC Managing Port Company: "Indeed, so many years of innovation and high technology development. This is a forward movement. And now the joint-stock company "Eastern Port" is the technology leader. We are grateful to the Japanese representation. " 09.09.2016 Report on the 2nd Eastern Economic Forum.